Up to 1,200 people are believed to have died this past week when, in several incidents, their flimsy boats foundered in the Mediterranean. These migrants from Syria, Mali, Eritrea, Somalia and beyond had set out from North Africa hoping to reach Europe’s southern shores. Fleeing war and poverty, most had paid large sums to traffickers. The scale of the tragedies is shocking. But it is nothing new. It is estimated that since 1993, some 20,000 migrants have died trying to cross Europe’s southern borders. The true figure is undoubtedly higher: thousands will have perished, their deaths unrecorded. Who is to blame? European politicians point the finger at traffickers. European Union officials have come up with a 10-point plan, at the heart of which was military action to destroy smugglers’ networks. The traffickers are certainly odious figures, recklessly placing migrants in peril. 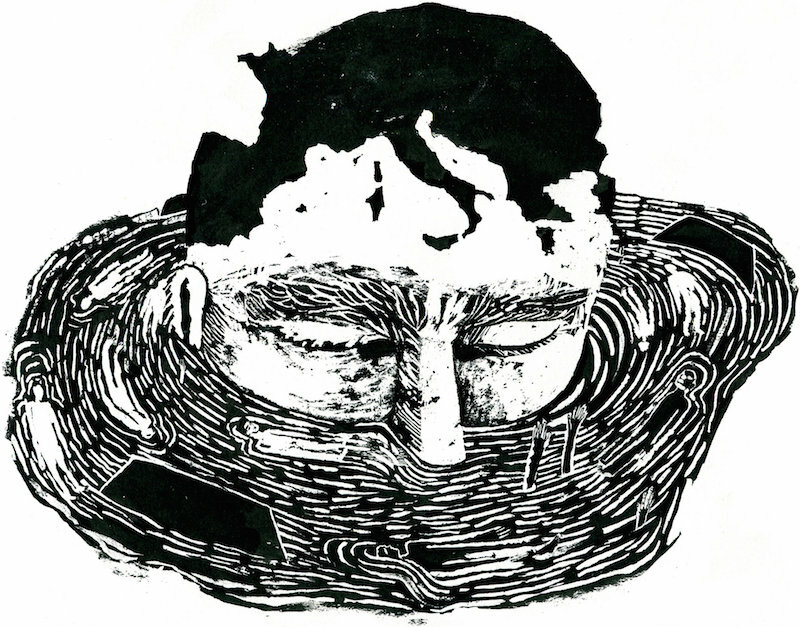 But what pushes migrants into the hands of traffickers are the European Union’s own policies. The EU’s approach to immigration has been to treat it as a matter not of human need, but of criminality. It has developed a three-pronged strategy of militarizing border controls, criminalizing migration and outsourcing controls. For more than three decades, the European Union has been constructing what critics justly call ‘Fortress Europe’, a cordon protected by sea, air and land patrols, and a high-tech surveillance system of satellites and drones. When a journalist from Germany’s Der Spiegel magazine visited the control room of Frontex, the European border agency, he observed that the language used was that of ‘defending Europe against an enemy’. The decision last year to scrap Mare Nostrum, the Italian-run search-and-rescue program, highlights this strategy. Mare Nostrum was replaced by Operation Triton, smaller in scope and with an entirely different aim — not saving lives but surveillance and border protection. The number of migrants now attempting to reach Europe is little different from that for the same period last year. The death toll has leapt 30-fold. When the European Union treats immigration as a problem of criminality, it is not just the traffickers who are targets. In 2004, a German ship, the Cap Anamur, rescued 37 African refugees, sick and freezing, from a rubber dinghy. When the ship entered a Sicilian port, it was seized by the authorities who charged the captain and first officer with aiding illegal immigration. They were acquitted only after a five-year court battle. Similarly, in 2007, the Italian authorities tried to block two Tunisian fishing boats that had rescued 44 stranded migrants from docking at Lampedusa, an island between Sicily and Tunisia. The captains were charged with assisting illegal immigration and violent resistance. Not until 2011 did an appeals court overturn all the convictions. Such cases are not aberrations. Treating good Samaritans as common criminals is the inevitable consequence of the European Union’s immigration policy. The third prong of the strategy is to outsource border controls by paying African states to detain potential migrants. The most notorious of these arrangements was with Libya. In 2010, a year before Britain and France launched airstrikes to help bring down Libya’s leader, Col. Muammar Gaddafi, the European Union concluded a deal with him, agreeing to pay 50 million euros over three years to turn his security forces into de facto border police. Even before they gained power, the anti-Gaddafi rebels agreed to continue the arrangement. The European Union has a similar deal with Morocco, and hopes to recruit Egypt and Tunisia, too. In effect, it aims to relocate Europe’s borders to North Africa. The 10-point plan that the European authorities have proposed is in keeping with this approach. Proposals include strengthening surveillance mechanisms, deploying immigration officers ‘in key third countries, to gather intelligence’ and a ‘programme for rapid return of irregular migrants’. Most eye-catching is the promise to destroy smugglers’ boats. Not only is this morally dubious — effectively telling migrants ‘We will wall you into North Africa so that you’re not our problem’ — but it also won’t work. One reason for the spike in migrant numbers is the collapse of state authority in the region, and the subsequent unleashing of chaos and conflict. Western intervention, Iraq and Libya in particular, has helped exacerbate this. The EU’s proposed military action will only intensify the turmoil. At the same time, migrants are forced to clamber into overloaded, unseaworthy boats because most legal routes into Europe have been blocked off. Destroying boats will not stop people from trying to reach Europe. It will merely force them to adopt even more perilous means of doing so. So, what is to be done? The restoration of a proper search-and-rescue operation is important but insufficient. The European Union should stop treating migrants as criminals, and border control as warfare. It needs to dismantle Fortress Europe, liberalize immigration policy and open up legal routes for migrants. Supporters of Fortress Europe argue this would lead to a flood of immigrants, but current policy is not preventing people from migrating; it is simply killing them, by the boatload. Fortress Europe has created not just a physical barrier around the Continent but an emotional barricade around Europe’s sense of humanity, too. Until that changes, the Mediterranean will continue to be a migrants’ graveyard. Come the next tragedy – and there will be one – politicians across Europe will wring their hands in horror. When they do, remember this: those same politicians could have helped prevent it, but chose not to. The top image is of a wall painting in Morocco by the Italian artist Blu; the other image is by Arianna Vairo from the New York Times. One should also look into the agriucltural, fisheries, and trade policy of the EU and the role played by Europeans in African economies that is, I suspect, partially responsible for the poverty and instability in parts of Africa that causes people to want to leave there in the first place. This is certainly a complex matter and I am not an expert on these subjects, but I suspect that the problem is, to a large extent, self-inflicted. Glad to learn that Africa was prosperous until the arrival of the White People (Boo ! Hiss !). The reason for mass-migration to the West, is that the West is much richer (thus has much better healthcare) than Africa, for instance. If getting into the UK will add thirty years or more to your lifespan, obviously you’ll move heaven and earth to get in. But as the West is going under – partly because migration levels are putting pressures on the West that it can’t cope with, but mainly because it is decadent and post-Christian – it’s unlikely that this mass-movement of people will continue for very much longer. We are i a fortress. Many see us though, as being just a bigger boat, and one that will capsize under the weight of too many new passengers. Fear, misplaced fear, of what may happen to Europe exists alongside indifference to the fate of other people. It is horrible. Like trying the prise the fingers of drowning people off the side of your own boat. People need perhaps to be educated more in what the realities would be in showing more compassion. We also need to work had to try to improve the world outside this fortress. No-one should have to leave lands they hold dear, families and loved ones behind in order to live or prosper. Curiosity and personal preference should dictate movement of people, not desperation and fear. I’d really like to see some detail about how this should work in practice. If we were to be far more liberal in allowing immigrants from poor countries to move to Europe, I’d like to see some suggested quotas. For countries like Nigeria and Ghana for example, as citizens from those countries have been crossing the Med too. And I presume that they should be able to apply to go to particular countries as not many will want to be going to eastern or southern Europe at the moment. Once they had EU citizenship they could move to where ever they liked then anyway. When the numbers get very high, like they are with Germany, the large scale migration obviously has some effect on that country. If there are a lot of poor and unskilled people moving to a city, it will suffer somewhat by parts of it becoming centres of poverty. Maybe we have to pay that price to alleviate the greater poverty the new arrivals would be escaping. There will be areas that suffer from overcrowding and many of the new people will struggle to pay their way with work. In expensive cities, a minimum wage job almost guarantees a poverty lifestyle, as much of the wage is taken up by rent. In many places in Europe, there have been great problems caused by the immigration they’ve had already. In France for example. New African migrants to France will just join the ones already there and it will take a long time to sort those problems out. A lot of new people may even make things worse. In the long term, if Africa and poor places that produce a lot of refugees and migrants are to be fixed, it might need immigrants from Europe going the other way and migration becoming a two way street. For capital and people from the west to go to these messed up countries and try to fix them. That sounds pretty colonialist though and probably couldn’t happen. On numbers, Africa has a population of over a billion and the EU has half a billion. I was wondering what kind of legal migration figures might be big enough to make a difference to deter people from taking these very dangerous journeys that are happening now. One million a year for the whole of Africa is one tenth of one per cent of the population and is probably not enough. But start going above that figure to two and three million a year and it’s going to have quite an impact on the places they go to, as there are only a handful of EU countries that would take the greater majority of African migrants. We know from previous migrations, that once routes are open, whole areas can become depopulated – like happened in Ireland. Even parts of Eastern Europe have had marked population decline in the last decade as people have gone abroad to work. If thirty million new African migrants a decade (into about ten EU countries) seems like too high a figure, then the problem of what to do exactly, still exists. The underlying assumption of many critics of more liberal immigration policy is that were Fortress Europe to be dismantled, the whole world would walk in. In fact, the facts suggest otherwise. ‘Open doors’, as Philippe Legrain has put it, ‘tend to be revolving ones.’ With looser borders, people come in and out as necessary. With tighter controls, people tend to come in larger numbers and to stay. It is ironically closed borders that create the very problems that supporters of tight immigration controls most fear. In the 1950s, when Britain had a virtual open door, many of the initial immigrants were single men and women who expected to return home after a short time working here. Once the government began discussing the possibility of controls in the late 50s migrants started arriving in larger numbers, to try and beat the closing door. And once the 1962 Immigration Act came into force they had no choice but to settle here and bring their families over, because they knew that if they left they might never get back in again. Much the same is true of the USA. When America had effectively an open border with Mexico, Mexicans crossed over to do seasonal work, but few settled. But, as in Britain, as America closed the border, so there was a surge in permanent settlement, as people rushed to move before controls tightened, and then stayed for good. And today, of course, thousands die trying to cross a tightly controlled border, and millions have settled illegally because, were they to leave as they would have done in the past, they would be unable to return. When the EU expanded between 2004 and 2007 and admitted to membership ten central and East European countries that were much poorer than Western European nations, did the whole of East Europe come to the West? Clearly not. People came to work, and large numbers subsequently left, when the recession hit and the job market changed. More open borders allow people to move in and out according to need. Closed borders compel people to settle, even if they have no desire to. It’s the very attempt to solve the problem that ends up creating the problem. People don´t go back, why should they? The sons of the turks that where born in Germany and tried to settle in Istanbul are coming back after a time because they can´t get used to maladministration and corruption. Once people are settled in Europe, connections to their homelands are weakening and get lost in the end. People might consider to return if the conditions in their countries of origin are better, but that is not visible anywhere in the near future. The argument is that if people know that they are free to come and go, they will do so …. like many or even most of the Eastern European worker migrants are doing now. They are only an EasyJet or a coach journey from home and can go and come back whenever they want to. I think it works with the eastern Europeans who feel confident that they are now part of a union which is seeing their home countries improving year on year. And that some of the skills they are picking up in western Europe could land them some good job back at home some day, and they will also be able to buy a house there in a way that they never could in England etc. How it would be if Spain said that anyone from Morocco could come over to live and work there is not really clear. It’s close by, so many would come and many would go back and forth, but over time their numbers would start to build up I think. From further afield down in West Africa, the coming and going might be much less. Not least because it costs more to fly there. I wonder how many of Ireland’s ”New Irish” ethnic minorities have gone back to their former countries. Lots of Eastern Europeans did of course, as the Irish economy declined so much, but I doubt that African Immigrants to Ireland have returned to their former countries much at all – even though they now have Irish citizenship. I only mention this, because I saw an article in the Guardian today about these ”New Irish” being mobilised to vote NO in the gay marriage referendum in Friday. Another point: I heard someone say on the radio that ten per cent of Zimbabwe’s population have migrated to South Africa. There, many live in great poverty, and given the chance to go to Europe, how many would not take it? Also, should we call this potential migration a ”great migration”? This site has had several articles about the great migration in the USA. And there, things often went very badly. How many northern cities have been blighted with ghettos and civil unrest? Most of them. And the prison population and the so called ”war on drugs” have their own terrible statistics. What’s to say similar things wouldn’t happen in Europe? Your comment is the purest hypocrisy. If you were being truthful, you’d welcome immigration controls as a way of encouraging migration ! Immigration into the UK back in the Fifties didn’t escalate because of threatened tightening of immigration regulations, but because the first arrivals had blazed the trail. It would be really interesting to see what would happen if we did open up Europe to the point that nearly everyone in the world could come and go as they pleased. Something like that will probably be what happens sometime in the future. To try to understand what it could be like now, it might be useful to imagine different EU countries pairing up with individual countries and regions of Africa, and imagine what might happen if there was little to stop young men (particularly) from making the journey. Like the Australians and Kiwis used to do years ago when they went overseas for a few years. If Britain was paired up with Nigeria and Ghana for example. They have a combined population of 200 million. What proportion of those populations could we have coming and going from Britain, much like the eastern Europeans do, I can’t really guess. But surely more than one per cent would want to come over for a while. Two per cent moving to the UK is not beyond the bounds of possiblilty. It would certainly transform some parts of London I think. There would need to be a whole African sub-Economy just to cater to the people coming and going. Hostels, hotels, businesses etc. Places like Camberwell and Peckham in south London would be first ports of call for many I imagine. And all looking for accommodation in the housing free market. There would have to be many hostels to cater to all those newly arrived young men. France would be the destination of choice for many people from its former African colonies. Belgium can be paired up with the DRC and Portugal with its old colonies. If people were really free to come and go like everyone in the EU is, it would be a new kind of world I think. It should happen eventually, but this article is about now and the issues faced with the boat migrants drowning in the sea. Since I read Kenan’s article again this morning, and the link to the Philippe Legrain article, I’ve also read this other one in today’s Independent, about the riots in France in 2005, and what those housing suburbs are like today. They’re not expecting riots anytime soon, but things don’t sound so good either. Where would the new arrivals LIVE ? – there’s a grave UK housing shortage as it is. BTW, London has already been transformed – into a more ruthless, more ultra-capitalist city. 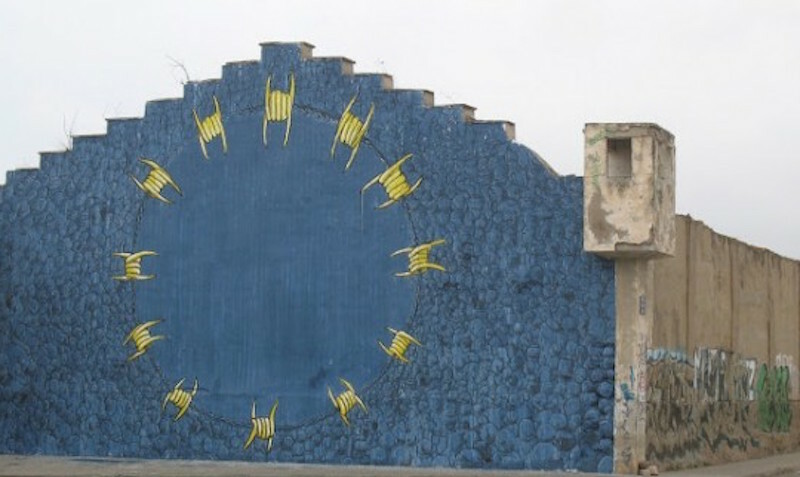 Whatever Europe may be, it isn’t a fortress. Vast numbers of people are constantly migrating in or out of it, by channels both official and unofficial. As for KM’s weepiness over the issue, it’s humbug; when has he ever said anything about the (far larger) numbers of Christians murdered by radical Muslims ?